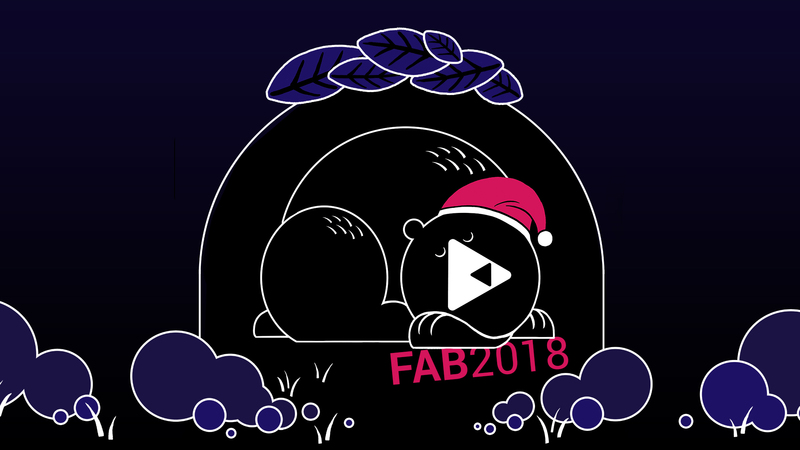 While our festival bear is still hybernating, the preparations for the next edition of FAB have already started. We don’t want to give too much away here, but rest assured: you will be the first to know about when and how things will continue. If you want to make sure you don’t miss out on any important festival updates, we recommend you to follow us on our social channels on Facebook and Instagram. Besides festival news you will find some interesting insider news and chit chat surrounding the Animation scene that you don’t wanna miss! And as you’re waiting we invite you to have a look at our Gallery with many impressions of last year’s edition! In case you prefer moving image (well, WE do of course) take a look at the Video section: Here our highlight film as well as all the beautiful trailers, openers and workshop films of the past edition are waiting to be watched.